Having turned to Microsoft and its Windows Phone 7 platform to halt the smartphone funk it had found itself in, Finnish phone giant Nokia is said to have shifted around one million Nokia Lumia 800 handsets in the final quarter of 2011. The figures, which come from research firm Morgan Stanley, have suggested Nokia has doubled pre-release estimations selling one million Lumia devices as opposed to the 500,000 units predicted by analysts prior the handset's official release. With the Lumia 800 marking Nokia's first collaboration with Microsoft and the WP7 OS, analysts have now predicted the former leader of the mobile market will shift an impressive 37 million Windows Phone handsets throughout 2012 with the dramatic increase to come at the expense of the rapidly declining Symbian OS. Touting a stunning 3.7-inch ClearBlack AMOLED screen and the same polycarbonate shell found on the Nokia N9 the Lumia 800 is an all-round leader of the currently available Windows Phone contingent. A 1.4GHz processor is paired with 16GB of internal storage whilst an 8-megapixel rear-mounted camera with Carl Zeiss lens and 720p HD video recording capabilities at 30fps handle the handset's array of entertainment specs. 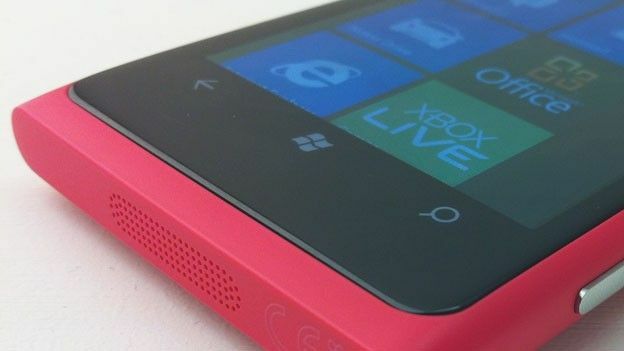 Is the Lumia 800 and the new partnership with Microsoft Nokia's saviour or a final high on a rapid decline to obscurity? Let us know what you think via the comments box below.